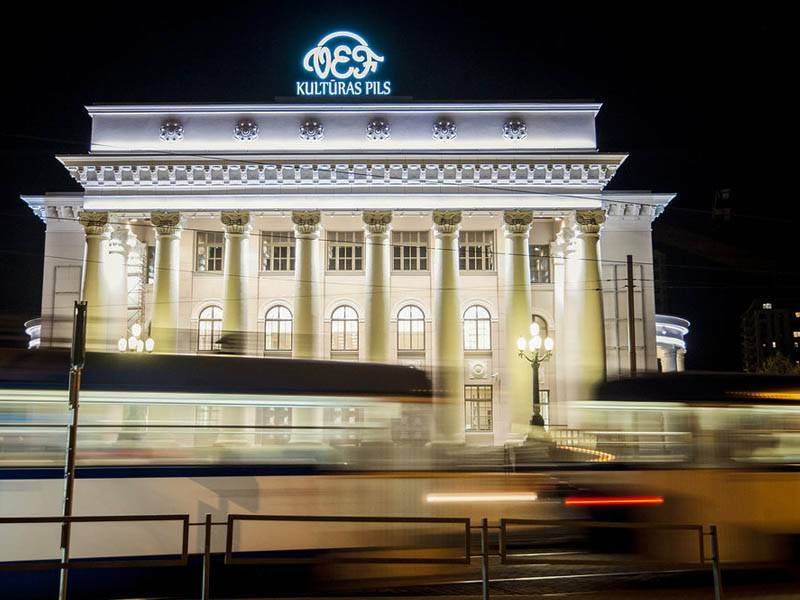 After a Major restoration, the Palace of Culture of Riga has recently reopened its doors celebrating its new architectural and organisational layout with a series of cultural events. 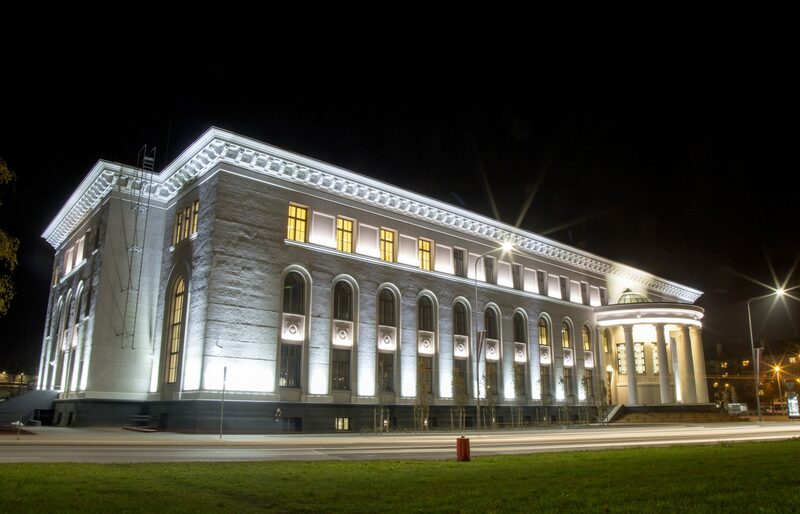 Various concerts, exhibitions, film screenings, guided tours and performances organised by the Palace of Culture teams provided the many visitors with the opportunity to explore the renovated premises, as well as to evaluate the modernized acoustics and equipment of the major Latvian concert hall. 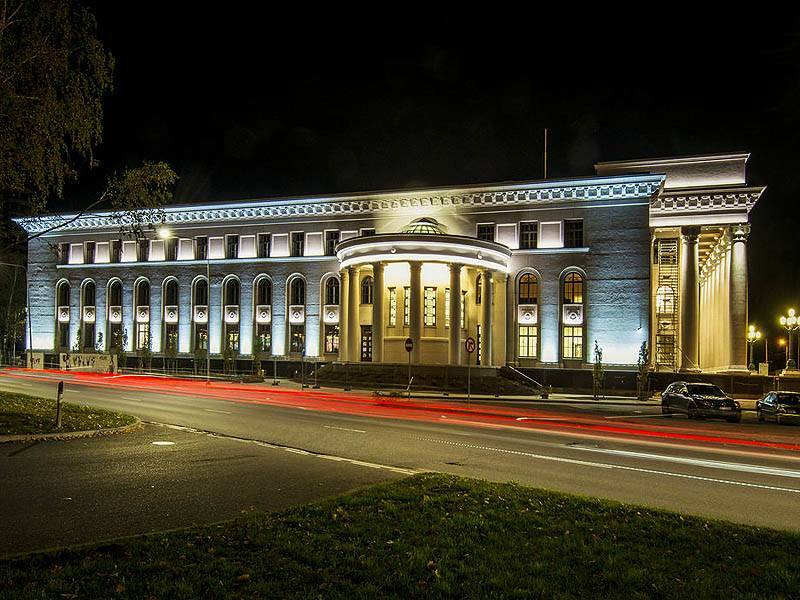 VEF Culture Palace is one of the most interesting venues in uptown RIga. 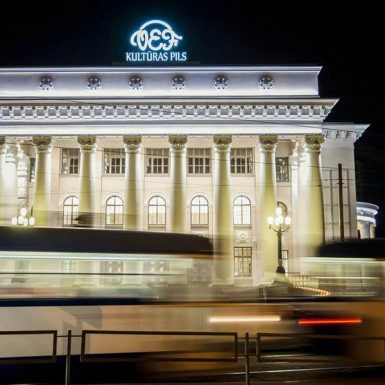 The massive building was erected in 1960 and since then has hosted many cultural events, international meetings, Congress and art exhibitions as well as performances from well known foreign artists and local theatre companies. The traditional grand hall offers more than 800 seats while the chamber hall provides a convenient 200-250 guests. 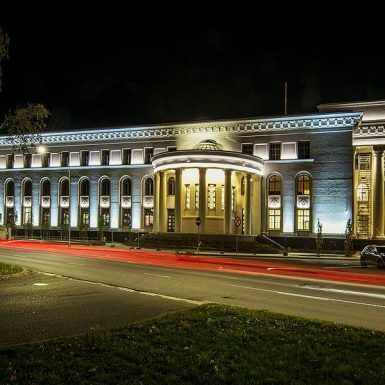 As part of this recent comprehensive renovation programme, a new LED lighting system has been installed at the VEF Palace by the Latvian company LUCIDUS SIA to enhance its exterior and interior architectural structure with a smart combination of warm and cold white light. Fitting with a compact body and mounting bracket for an easy installation. The chosen linear modules of the PARADE D-W-12 Mk3 series offer the utmost lighting design compatability and maximum mounting comfortabiltiy. A warm white accent was preffered by the appointed lighting design. To light up the columned side and front porches of the building. Mixing both warm and cold shades gives a breathtaking result. 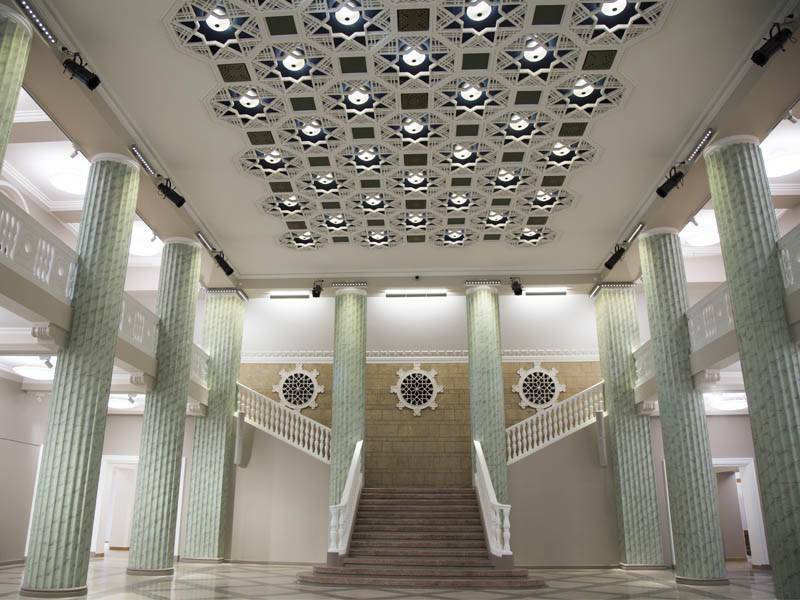 As for the interior lighting of the amazing foyer, an array of PARADE D-W-12 MK3 in warm white configuration has been installed along the perimeter of the ceiling in order to deliver a functional and decorative illumination to this beautiful area, often used for exhibitions and stand receptions. 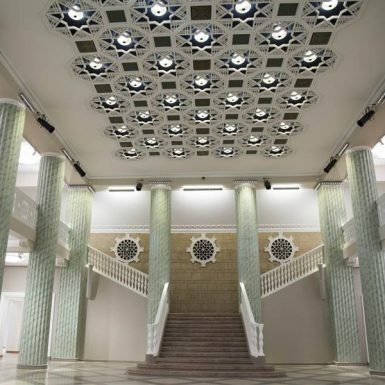 The chosen warm white shade enhances the green marble columns that frame the foyer with elegance. 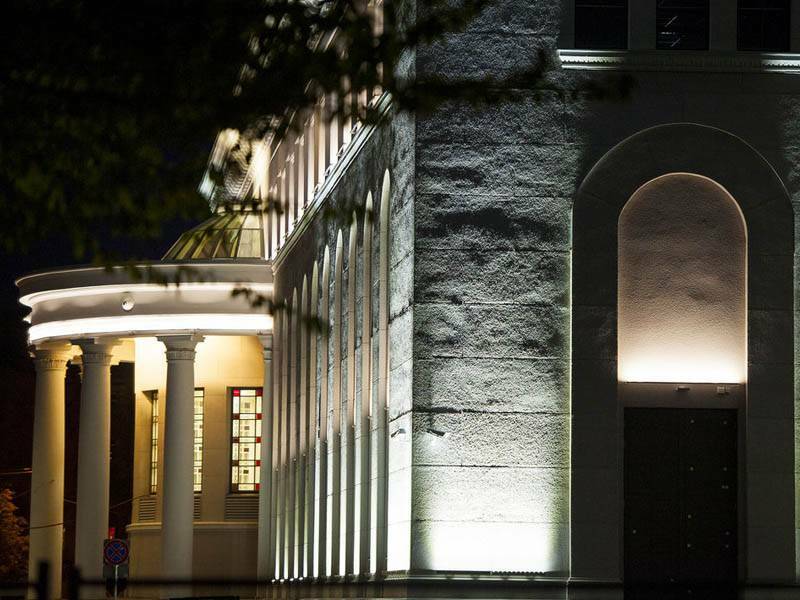 Boosting the Allure of the stylish venue while delivering a remarkable illumination. A Superlative solution for architectural lighting decoration, the technologically advanced PARADE D-W-12 MK3 linear modules feature 12 bright white light LED sources. Available in both warm and cold white light.  These highly versatile modular bars, coming with a choice of different beam angle options, are now capable of offering a further improved lighting emission performance. 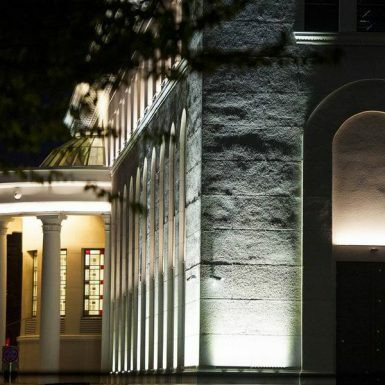 Their compact outline features a robust and durable extruded aluminium housing for the widest variety of applications such as accent, display, effect and landscape lighting.